"We produce fresh content every month about Brand Marketing". Are you ready to Think With Google? 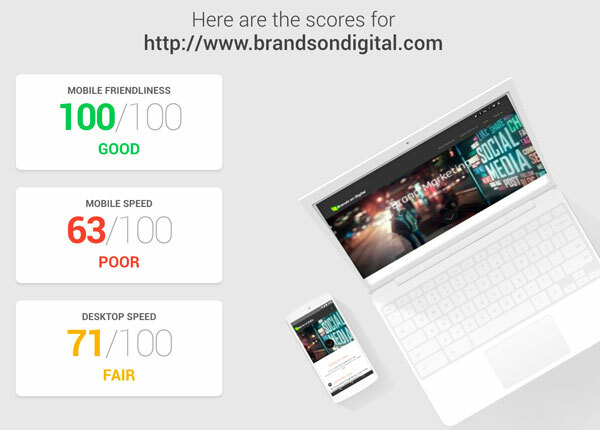 Google recently updated us on their new page speed and mobile friendly testing tool found within Think with Google. For our latest article this month we introduce the mobile performance tool & explain why having a mobile optimised website is the only way forward. We also give some research and insights into mobile marketing and the idea of micro-moments, the new battleground for marketeers. The ‘Think With Google’ mobile testing tool from Google helps people like us crank up the performance of content online and improve viewing across an array of desktop and mobile devices. Who better to get advice from when it comes to improving your website in search engine results. What it does behind the scenes to analyse your website is pretty complex but this tool really helps marketing, management and technical teams easily understand what fundamental game-changing improvements can be made. The reason this tool is useful is because mobile usage is growing year on year and adding to the bottom line for businesses. Simply put, more of us are doing more on our mobile devices. 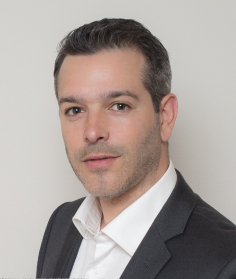 This is important for any business with any real-estate online to understand. 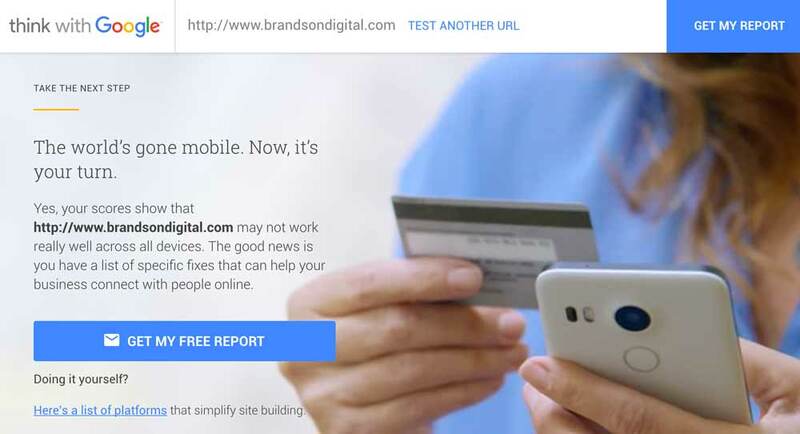 People are five times more likely to leave a mobile site that isn’t mobile-friendly. Nearly half of all visitors will leave a mobile site if the pages don’t load within 3 seconds. 9 out of 10 people say they use multiple screens for such tasks as booking a flight online or managing their personal finances. The site takes your URL and measures on a scale of 1-100 your mobile design and loading speed. It looks at things like CSS, HTML, scripts and images to see how long it takes for your website to load on both a desktop and mobile device. Google wrote in a blog post announcing the tool “On average, people check their phones more than 150 times a day, and more searches occur on mobile phones than computers. But if a potential customer is on a phone, and a site isn’t easy to use, they’re five times more likely to leave,” . This is a potential gapping black hole for businesses to loose money through, if ever there was one. 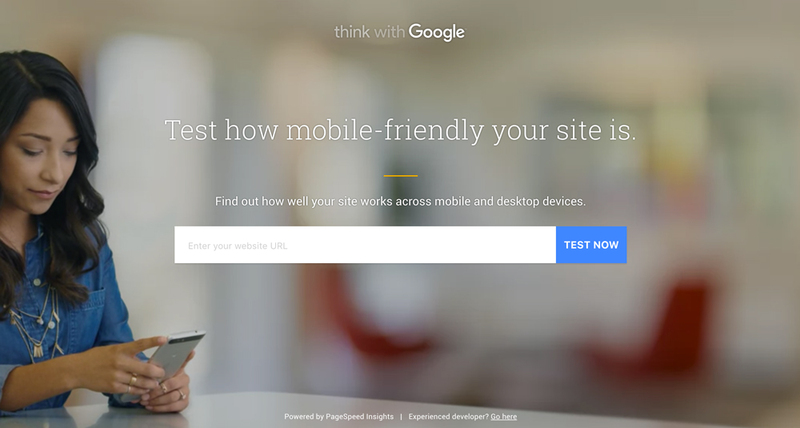 The mobile friendly testing tool can be found within the insights and research section of Google’s ‘Think with Google’ website, which is well worth looking through for more hidden gems like this. It’s powered by their Page-speed Insights engine, yet provides a more user friendly experience for non technical teams. Ideal for marketing or technical departments making a case to management or simply working out how to improve mobile web content overall. This tool is great for easily showing both managers and marketeers what website changes can be made to improve mobile compatibility. At the same time it can be used to get an overall measure of performance over time or in relation to competition. It should be part of every website managers audit toolkit, this or the Pagespeed Insight reports from Google or another website page speed performance tool like Pingdom Tools. Why all this need for speed and mobile friendliness? Well your marketing should be taking the lead on this one as it’s important to understand the relevance of optimisation and its purpose to your brand/company. In the context of your marketing performance you have to understand the macro and micro marketing environments, to then plan your mobile marketing strategies. To give you a head-start, mobiles share of online decision making has increase by 20% in the last year in the U.S and mobile conversion rates up by 29%. With this in mind there is an increasing role for mobile content that fits into what is called, by Google and others, the ‘micro moment‘. This is better defined as the moments when we quickly want help informing our choices or making decisions and turn to our mobile device for this information. For marketers, these moments are an open invitation to engage and they’re the moments you have to be ready for as a marketeer. They’re the moments when we turn to a device—often a smartphone—to take action on whatever we need or want right now. These I-want-to-know, I-want-to-go, I-want-to-buy, and I-want-to-do moments are loaded with intent, context, and immediacy. They exist in context, where the action is immediate and there is an intent from the user to do something. Micro-Moments are the new battle ground for the marketeer who is able to measure holistically, as it is not on the last click attribution model that you would be able to value this. Micro-Moment marketing takes into account that mobile can contribute to a final decision rather than be the final route to conversion. This understanding creates new opportunities for brands to strategically and creatively serve up the right information or call to action at that moment when needed, on a mobile device. This is highly dependant on the context of the user and therefore individual brands will have different routes into these moments. There are some great examples from Fiat and other brands who have already stepped into this. Which we can share with you on another post, so please subscribe if you are interested. Micro Moments as a concept is very interesting as It defines something we already think we know, but don’t actually know until we have a clear concept of it. Understanding this concept enables companies like ours to research and plan what to do for brands, to ensure they provide a beneficial user journey & experience, whatever the given scenario, on any device. If you are interested in discussing any of the topics covered in relation to your own marketing, for example website optimisation or mobile marketing, please feel free to get in contact.